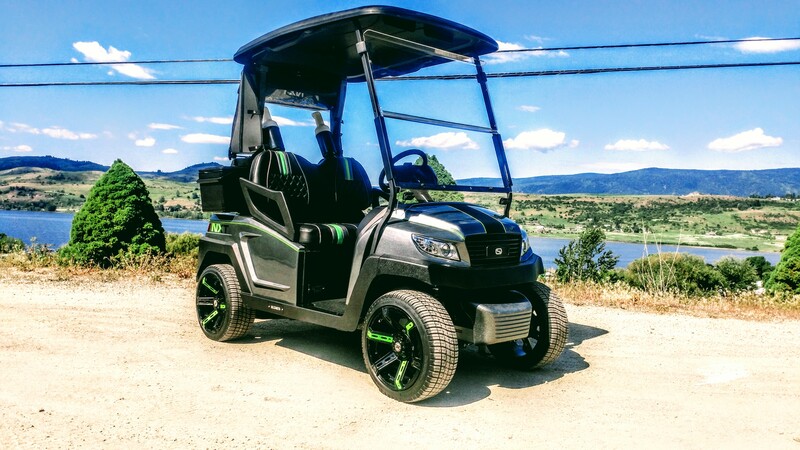 A new build to the blog this week is this feature packed NXT-R4 for a long time customer converting over from her Club Car’s to the NXT family! She chose all the right things including our SC Drive high performance motor, lithium battery pack, chrome rims and so many other cool things. Watch as this one of a kind build comes together! We start in the booth with this very classy color! While the paint dries we assembled the chassis and installed the custom 12″ chrome rims. Next we took the chassis out for a test drive! With the cart running great, we removed the test battery pack and installed the custom painted rear body panels! Then came the rear seat frame work and foot rest! Just a small taste of what we have cooking with this buggy! Be sure to keep checking in to see this classy NXT-R4 come together! If you haven’t checked us out on Facebook now is your chance!